In the first Reykjavik Marathon in 1984 214 runners took part. Like you can see on the following bar graph the event has grown into a big festival with around 15.000 runners taking part 2016. Past few years the participation in the timed distances has grown a lot. 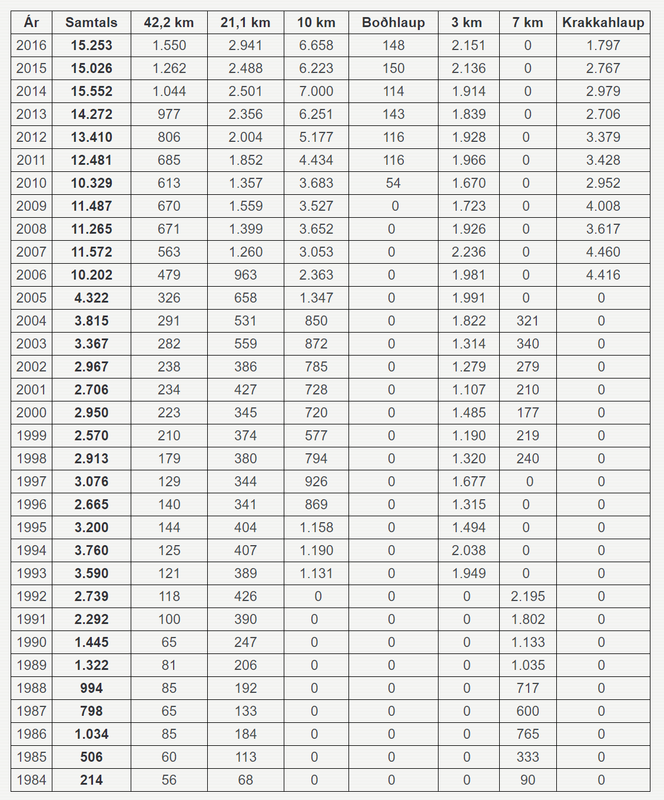 In the table below you can see registration numbers in all distances from 1984-2016.